During my time in graduate school, there were a few apps that contributed to my overall success and well-being. However, I didn’t want to provide only my perspective, so I took the liberty of surveying a few colleagues from other institutions. The following are the most common apps that folks mentioned for graduate school success (and sanity). With Google Drive, students are able to make Word documents, presentations, spreadsheets, forms/surveys, and drawings. Additionally, you can openly share any of these files with your colleagues so they can edit and comment in real time. This app especially comes in handy when you may not be able to access a laptop or computer. It provides 15GB of free storage and has the ability to modify any kind of pre-existing files that are equivalent to the services provided by Google Drive. Evernote is kind of like Google Docs, except some people prefer Evernote because of its inclusiveness with sharing Word documents. With Google Drive, you can only share documents with people who also have a Google account. But with Evernote, you can share with anyone as long as they have a valid e-mail address. There’s simply more flexibility for folks who may not like or prefer Google-based technology. Plus, it’s a great note-taking app for class lectures and assigned readings. It depends on where you identify with social media involvement, but many colleagues and I noticed that some people we communicated with would check Facebook more frequently than their e-mail. It got to the point where if we wanted important tasks to get done in a timely manner, we had to rely on social media to get in touch instead of other platforms. Facebook groups are pretty resourceful and provide a virtual space for folks to come together and dialogue, collaborate, and provide community outreach. I’ve seen the benefit of using Facebook based on how many groups I have the privilege of being a part of. Sometimes, when the group is not looking for a long annoying group message or inbox overflow, we simply post important announcements in the Facebook groups. Speaking of group messages, GroupMe is very resourceful for sending group messages that are meant to be concise and straight to the point. Additionally, it provides an inclusive platform of communicating since iPhones and Androids don’t have the best relationship with group-texting each other. Plus, for security purposes, if a person is not comfortable with giving out their personal information, they can have people directly message them through the app without the concern of their phone number falling into the possession of someone who may abuse it. Splitting a dinner? Need a financial favor? Sharing the cost of a hotel room? Venmo is a great app that can help you do all that. It’s similar to PayPal (see below), but it doesn’t have any fees associated with it, regardless of the type of transaction. From my personal experience, Venmo seems to accept more bank accounts than PayPal. But on the other hand, it’s only used for transferring money to your friends; you cannot make purchases with it. With PayPal, you can do everything that you can do with Venmo, but you can make actual purchases too. Need to pay for groceries? Watching a sale with your favorite store? Waiting for Cyber Monday sales? Many online vendors accept payments from a PayPal account. It’s great when you may not have your card on you but you have some money stashed away on PayPal. When it comes to transferring money, I’d say PayPal and Venmo are the same in terms of how long it may take for the transfer to go through; it’s all about the timing. Although iPhone has iCal, many folks find more convenience with Google technology. Scheduling appointments and important dates, setting reminders for yourself, and sharing these important moments with others can all be done with Google Calendar. It’s gotten to the point that if something is not on my Google Calendar, it doesn’t exist. This mentality really helped with my time management as a grad student. Trello is an awesome task manager app. Whether it’s important assignments, a list of tasks for my service group, or a timeline for a committee I’m serving on, Trello is a reliable resource to assist with time management. However, it’s only helpful if you put in the effort to actually update your to-do lists in order for the app to actually work. As a grad student, it’s important to make an effort to have a life outside of the classroom. My colleagues and I used Groupon all the time to find exciting activities to attend all throughout the city/state at cheap and affordable prices, if not for free. It was a way for us to break away from the course work and enjoy life outside the classroom. Meetup is a great tool to use when you are attending an institution in an area you’re unfamiliar with. In grad school, if your program has a cohort model, you’re going to see literally the same people all the time. That’s not a bad thing, but Meetup is a great app to use in order to make additional connections with people and broaden your network. Whatever your special interests may be, chances are there is a Meetup group for it, and if there isn’t, you can create one and start planning simple events for the groups’ members. This is not the be-all and end-all list of apps a grad student should have on their phone. 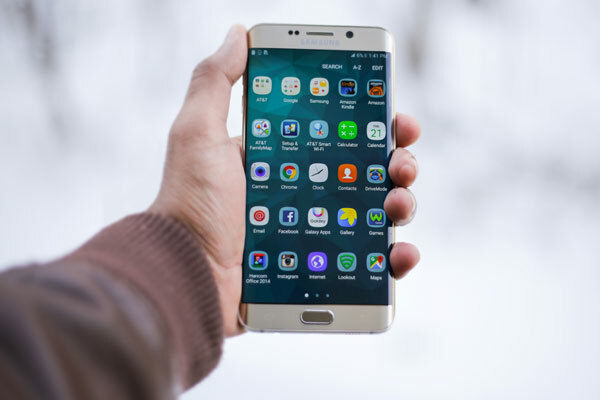 Although these apps came in handy, it is also important to consider ways to organize your schedule, manage your time, keep track of your finances, and socialize with people in cases when you may not have access to a smartphone. If you have a smartphone, go nuts—the number of apps you can download is practically endless. However, if you don’t have one, you can still have a good time in life and manage it effectively—just get creative!